If one watches long-running TV series, one can easily discern signs of desperation. The introduction of prominent new characters offers one piece of evidence, and the inclusion of new children provides particularly strong proof. Possibly even more telling is the use of “crossover” appearances. By this I mean that a character from another program shows up somewhere else, hopefully for the benefit of both, like when Samantha from Bewitched guested on The Flintstones. However, it’s usually to the detriment of both entities. It makes the recipient look more pathetic, and the series from which the character came appears weak by association. Sometimes different elements are thrown together out of sheer desperation from both camps. It’s a “more is better” tone that feels if people like “A” or “B” alone, they should love “A” and “B” together. Unfortunately, it doesn’t usually work, as the projects simply come across as scattered and sad. In that vein, I greet 1943’s Frankenstein Meets the Wolfman. It connects a mix of different characters who had succeeded alone, and it pulls no punches, as right off the bat, we know what to expect. However, anyone who anticipates an all-out collaboration between the two famous monsters will feel disappointed with the results. 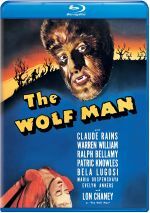 At the end of 1941’s The Wolf Man, we believed that title character Larry Talbot (Lon Chaney Jr.) died from a gunshot wound. Of course, nothing works that easily in the world of the Universal Monsters, so reports of his demise were greatly overstated. Grave robbers infiltrate the Talbot tomb, but they don’t last very long. Quickly we learn that Wolfie’s back in the pack, and on the attack! Unlike horrific brethren such as Dracula, Frankenstein and the Mummy, Larry feels unhappy with his plight, and he desires a final solution. He believes that the work of Dr. Frankenstein will cure him - or at least kill him - so he attempts to locate the records of the bad doctor’s experiments. Aided by Dr. Frank Mannering (Patric Knowles) and gypsy woman Maleva (Maria Ouspenskaya), Talbot seeks out Frankenstein’s diary to learn how to rid himself of his curse. They also locate the frozen body of Frankenstein’s monster, here portrayed by Bela Lugosi. All of this inevitably leads to a battle between the titular critters, with catastrophic results. Unfortunately, those scenes feel like too little, too late, though Meets starts pretty well. The early Wolf Man attack sequences display a fine sense of style and terror, and they led me to believe that the film might show some signs of life. However, once the quest for Frankenstein’s diary begins, the movie quickly becomes drab and lifeless. Talbot’s whining gets old after a while, and Chaney does little to endear himself to the viewer. This means that we get too much talk, not enough rock. Once the characters’ path sets toward discovery of the cure, the movie concerns itself much more with that exercise than it did good old-fashioned action. Any movie that touts itself with this sort of title really needs to provide lots of fight sequences, but those seem few and far between during Meets. After all, isn’t that really what we want from this kind of crossover flick? The idea provides the temptation to see a battle royale between two classic monsters, but the results lack any form of excitement or drama, so the movie winds up as a disappointment. Frankenstein Meets the Wolf Man has enough going for it to stand as an average monster film, but it fails to rise above that level, and it feels like a pretty drab exercise for the most part. 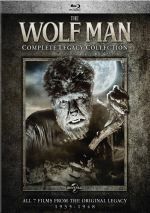 Frankenstein Meets the Wolf Man appears in an aspect ratio of approximately 1.37:1 on this Blu-ray Disc. The film came with a surprisingly great transfer. How did the Blu-ray compare to the original DVD from 2001? Audio sounded much warmer and more dynamic, while visuals appeared cleaner and tighter. Frankly, the DVD suffered from pretty lousy picture and sound, so the Blu-ray became a radical improvement. In terms of extras, we get the film’s trailer and nothing else. As a horror tale, Frankenstein Meets the Wolf Man enjoys some strengths. However, it can be gimmicky and it fails to become better than average on a consistent basic. The Blu-ray presents excellent visuals and fine audio but it lacks supplements. Expect a great presentation for a decent movie. As of fall 2018, Frankenstein Meets the Wolfman can’t be purchased on its own. It can be found as part of a seven-film “Wolfman Complete Legacy Collection”. In addition to Meets, we find The Wolf Man, Werewolf of London, She-Wolf of London, House of Frankenstein, House of Dracula, and Abbott and Costello Meet Frankenstein. 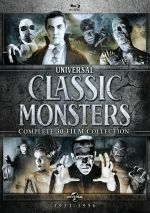 In addition, Meets comes in the “Universal Monsters Complete 30-Film Collection”. It actually packages the Wolfman set mentioned above with similar compilations for six other Universal Monsters.